I love anniversary blends from good coffee roasters. The anniversary blend isn’t just another way to shuffle product, but it usually reflects a deeper commitment to making the blend a bit better. And more often than not there is a good story to go along with the good product. The Roasterie’s 20th Anniversary Platinum Blend has quite a story to go along with it. The DC-3 on the packaging and being used as a part of the companies logo is in homage to the hometown airline TWA. And to top it all off it tastes mighty good too boot. There is an overall sweetness that you simply can’t miss with some lighter bright fruit notes along the way. The smell however is powerful, my whole house smelled fantastic, and as you can hear in the video review it smelled like we were baking sticky buns or something. Overall this is a bright clean cup with a well rounded mouthfeel. 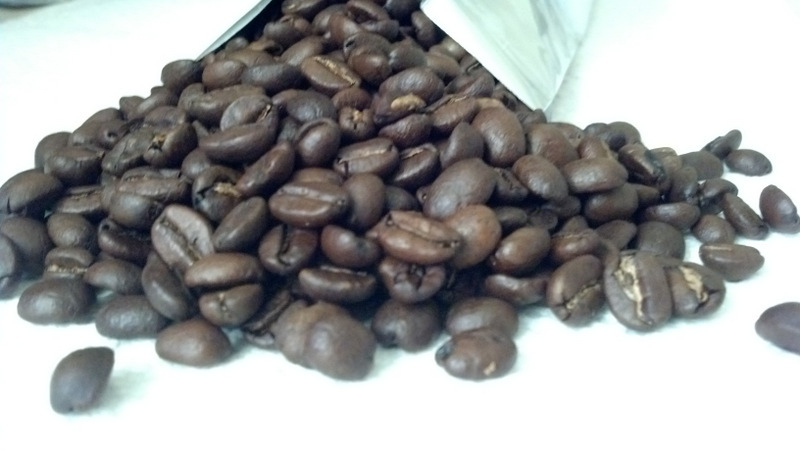 The beans come in with a nice dry finish, the color of dull milk chocolate. And smell out of this world. The taste starts off with a hint of fruity acidity but it isn’t overpowering. In fact after the sweetness of the blend takes over this cup goes from good to Great. I give the blend a solid 4 out of 5 beans for normal coffee. 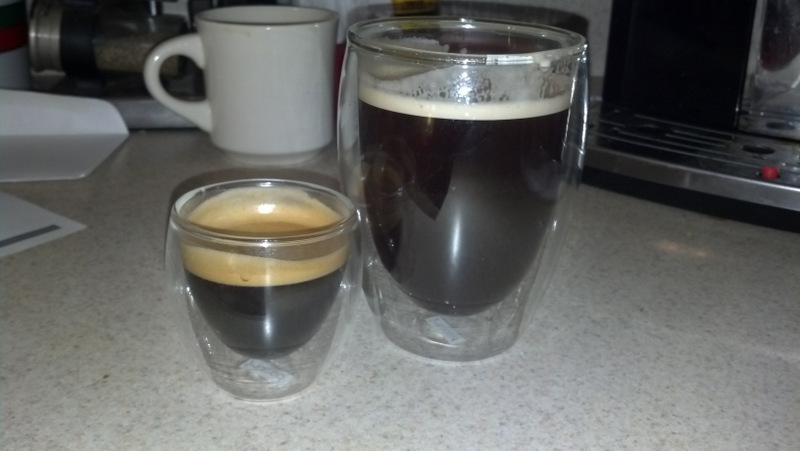 its a bit to light for a decent espresso, but it is fantastic as a great coffee. I’d personally pair it with a pastry to compliment the sweetness. Thank you to the fine folks at The Roasterie for allowing me to sample your blend and for sharing this occasion with me. Congratulations on 20 fantastic years and I hope you have many more ahead of you. If you would like to sample some of this blend for yourself. Please venture online to www.theroasterie.com or stop by a local Kansas City area cafe or grocer. Full disclosure: I was sent this product at no cost to me. This did not affect my final review of the product.